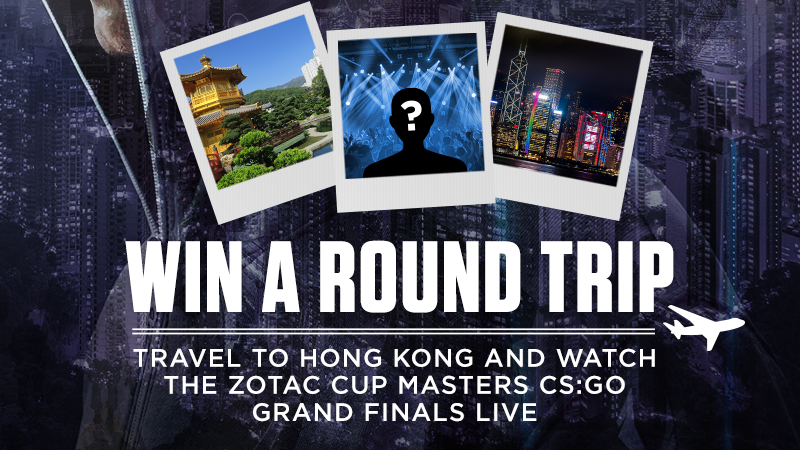 Zotac wants to gift one of their fans with full travel to CS:GO Masters Cup in Hong Kong. To enter in this ZOTAC CUP MASTERS Grand Finals Travel Giveaway grab your free entries by following few simple steps listed down below! With the largest prize pool in the ZOTAC CUP MASTERS history and adding more grand stages than ever before, the ZOTAC CUP MASTERS CS:GO is a global stage where the proven teams push their limits in skill to rise to the top all while the world watches. Open to any to take the challenge and show to all that they have what it takes to be one of the best, teams battle to rise to the top through a series of ZOTAC CUP online qualifiers and Regional Final Qualifiers that ultimately leads them down to the ZOTAC CUP MASTERS Grand Finals stage where the best of the best meet for the ultimate challenge. Bonus entries: Share your referral link with friends to get an additional 2 entries for each person who enters through the link. A winning notification email will be sent to the email address provided and a confirmation reply is required within 7 days of initial communication else prize will be forfeit.